Today was one of those days when I remembered why I love writing for EatingMyWayThruPortland. Every now and then I get to do some cool experiences and today was one of those days with one of those experiences. 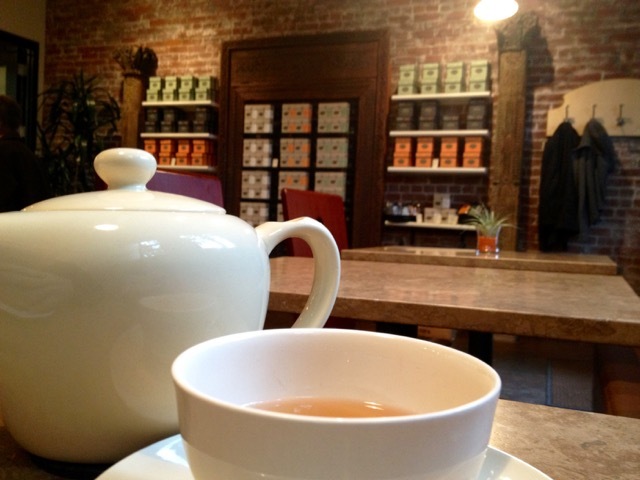 Keep in mind, you too can head down over to Smith Teamakers and learn all about their tea and get flights. Or just go down and grab a pot of tea and enjoy the space. 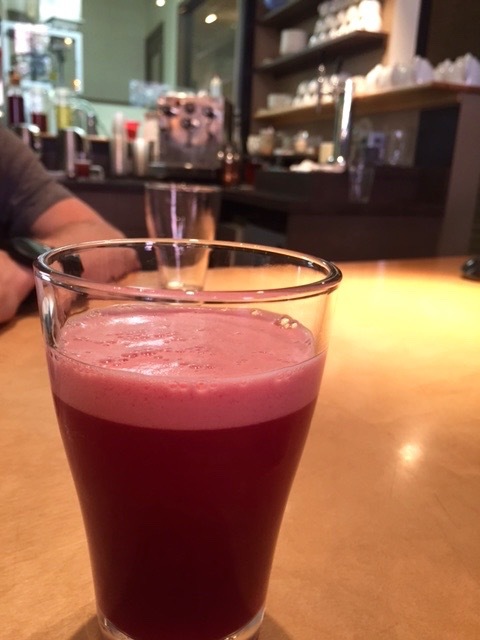 Today I got to sample a seasonal Strawberry tea on Co2, Brahmin and Blackberry (BnB) on Nitro and their Masala Chai iced tea on Nitro. Just think of these drinks with carbonation, like beer. It takes the tea to a whole new level. There are a few places around town where you can get these, but the one that stood out was Rogue brewery who is mixing the Strawberry tea with beer to make a Shandy. Let me back up and tell you the whole reason why I was invited down. I was invited down to try the Oolong Ice Cream. Let me save you some embarrassment and let you know that it’s a tea that tastes like ice cream. We have seen it done the other way around, which is why I was confused. Luckily I didn’t go down with a spoon in had demanding my bite. This was the first of a Maker’s Series collaboration blends. This first blend, Oolong Ice Cream, was created by Tony Tellin, Smith’s head teamaker and Tyler Malek, head ice cream maker for Salt & Straw. See, why I thought I was getting ice cream? The blend on this was out of this world. It literally tasted like I was drinking a warm bowl of vanilla ice cream. I was amazed that they could actually pull off a buttery, vanilla tea with so much body. The Oolong Ice Cream includes a buttery cream oolong and swirls in Salt & Straw sugar candy, hand-cut almonds, jasmine blossoms, Madagascar vanilla and just the right touch of sea salt. In a tea!!! Now do you see why it was so amazing? Here’s what the creators of this tea had to say…. Most people think of vanilla ice cream as basic, but it has a complex profile. Tyler is the only person who could help me pull off the challenge,” Tellin explained. “We have a similar culinary approach to pushing the envelope on ingredients that is one part art, one part mad science. Working together to deconstruct the flavor of vanilla ice cream and reconstruct it into a tea was a real meeting of the minds and we had a good time working together. Considering we both have experience coming up with unexpected flavors, it’s safe to say this tea blew our minds. Now, I have to give you the bad news. They have already sold out of this tea. So why am I telling you about this? Because there are more teas like this on their way. I know I missed out on it because I am not part of their mailing list and I don’t drop in the store often enough. Both of those things would let you know what’s going on. And with what’s happening next you might want to jump on that. I know I am. Here is what the whole Makers Series collaboration is all about…. Oolong Ice Cream is the first in a series that showcases Tony Tellin’s innovative approach to creating unusual blends. 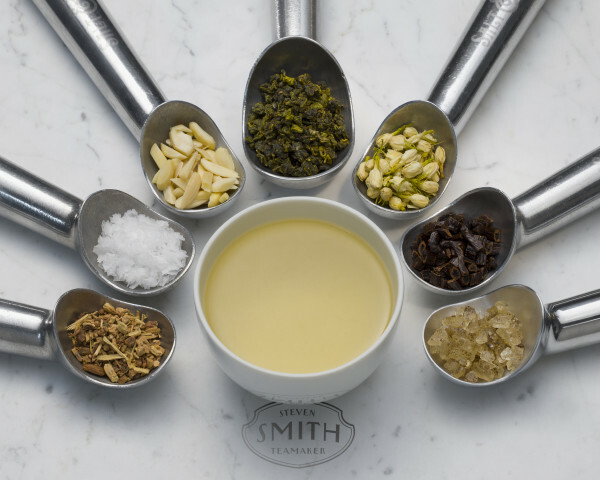 Smith teamakers have always sought inspiration outside the tearoom; the Maker’s Series turns the table by inviting chefs, mixologists and tastemakers into the Smith blending room to work with Tellin. Together, the flavor artists turn inspiration into a unique tea or herbal infusion that delivers a new tea experience. So you see, there is more to come, we just don’t know what it is right now. But after my experience today, I can’t wait to see what’s next. My experience didn’t stop there. This is part of the process to pick the perfect tea. I got to learn all about how they select their teas. I won’t even try and explain it because I would never ever be able to do it justice. In a nut shell they have gardens overseas where they get their teas from. I was able to see just 9 of their Darjeeling Teas. 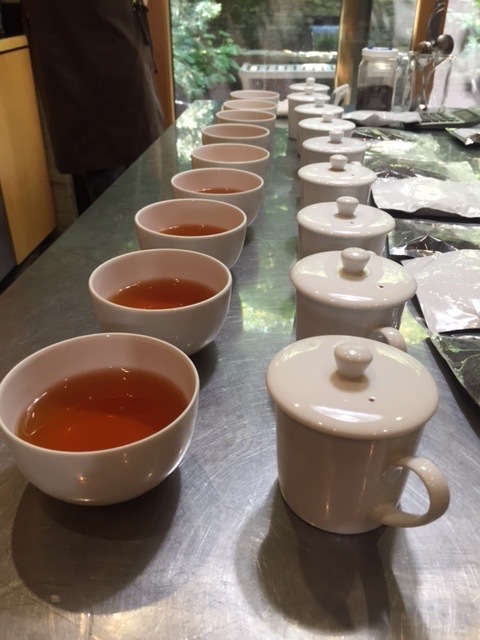 They will sample just over 70 different Darjeelings before they choose the one they want. All this work for just one kind of tea. They have a line of more than 25 highly curated teas that showcase Smith’s artful talent for creating unexpected combinations with complex flavors and aromas. Then there is the process on the blends they bring us. I won’t even try and explain it, but let’s just say there is such a labor of love, science and perfection that goes into each of the teas that they then sell to us, the consumers. Now we have these added culinary elements. What is already complex, is getting more complex and fun! Atmosphere is a very small, yet charming tasting room that has a large open window overlooking production. If you go in ask for anything on draft and/or do a flight of teas. 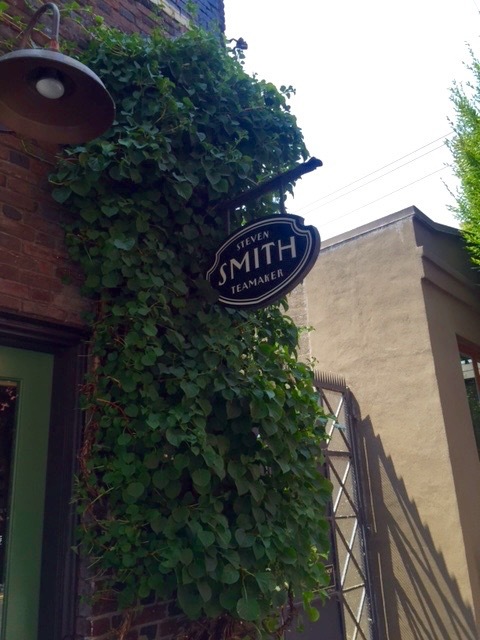 The Smith Teamakers tasting room is located in NW Portland. That is awesome! 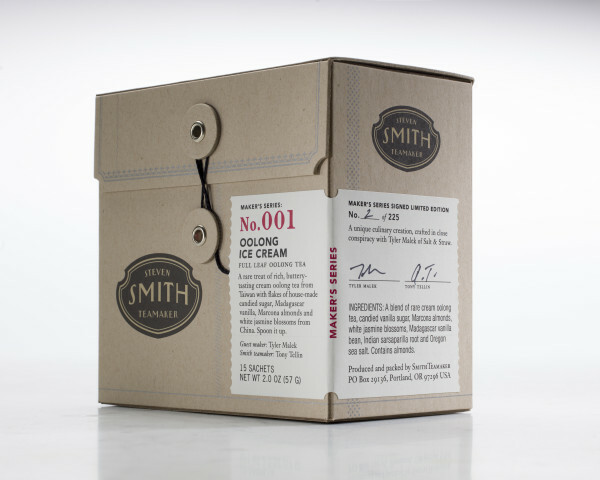 At first read, I totally assumed Smith was making ice cream now. Then I continued reading. Still so cool. I love their teas so much and their cafe on Thurman is the cutest. Especially on a chilly day, that is the best place to hang out. What a fun day you got!